Interested in getting out and about this month to explore Austin? Check out all of the events going on….including FREE EVENTS! 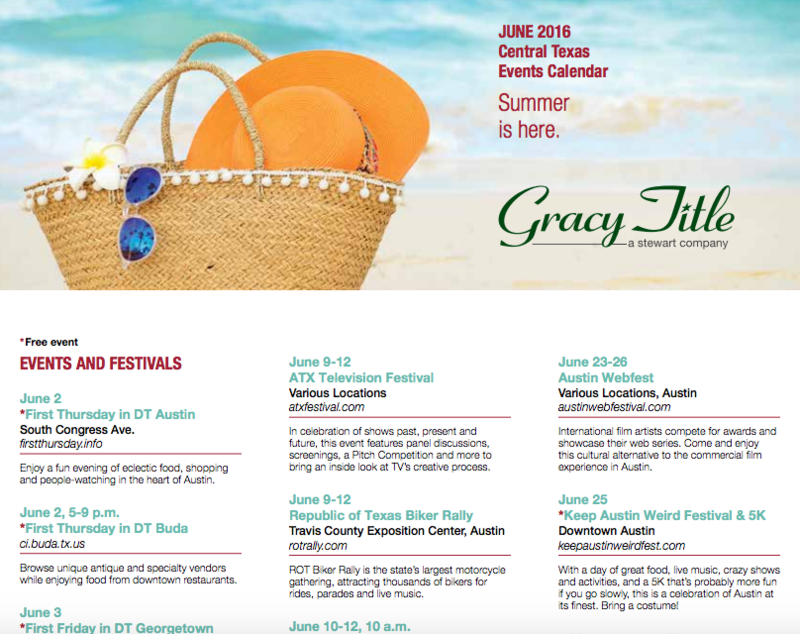 For further information and the full calendar, our friends at Gracy Title are happy to share the Austin love HERE! Have an awesome month of June and don’t forget to let us know if you have any friends or family moving to Austin and looking for a new home! We love referrals! For more information, give us a call at (512) 330-1004. Watch out for all the bikers this weekend – drive safe y’all!